We have so much to be thankful for this Thanksgiving, especially for a growing availability of more natural organic food. 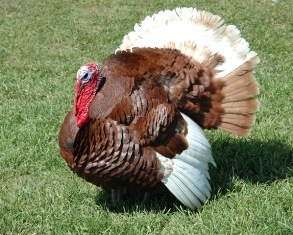 Hopefully pasture-raised natural organic turkey from a local farm was in your plans this year. If not, you can plan on it for next year. It’s even easier these days to find and use grass-fed organic butter, yogurt and cheese instead of conventional pasteurized products. It’s great that more and more people understand how healthy the good quality fats are for everyone. Hopefully margarine and other fake products have long been off your shopping list. Enjoy the fresh vegetables from your own garden, farmers' market or grocery stores that buy from local farmers.